As Internet access expands to the far corners of the world, the industry starts to realise that product design for international users takes more than translations to be successful. In this hands-on and immersive workshop, you will learn how to research and design with cultural differences in mind and create inclusive solutions for global users. We’ll start this workshop by introducing concepts and case studies of localisation and cross-cultural design. Then, Jenny will take you through her process of cross-cultural design, from research, design, to validation. You’ll learn the best methods to empathize with diverse users and practice cross-cultural design and interview techniques. We will be creating cultural personas and conducting research on the culture, competitors, and design patterns of a new market. At the end of this workshop, you'll have the right knowledge and process to design for users with cultural nuances in mind. You’ll be more confident in conducting research for new markets and more familiar with localisation. Finally, you’ll take away lasting lessons and new perspectives on designing for diversity. 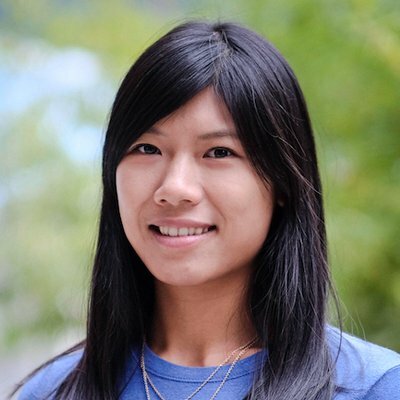 Jenny Shen is an independent Senior UX Designer who has worked with numerous startups and brands including Neiman Marcus, Crate&Barrel, eBuddy, IBM, TravelBird and Randstad. Currently, she focuses on helping businesses innovate and designing inclusive product experiences for international users. In her spare time, she mentors designers, speaks at conferences and volunteers at Ladies that UX, where she is working on global community strategy as the Regional Director of EMEA. She also writes about UX, design career and various topics in her newsletter and on Medium. All levels are welcomed and no prior knowledge is required. You will work together in pairs with your fellow attendees. For experienced researchers, you’ll pick up techniques to research and interview users of different cultures.